Mobile ordering apps have taken the world by storm, with a deluge of downloads. You want proof? When Chick-fil-A released its new mobile app, it hit #1 in the app store, with over a million downloads in just 3 days. 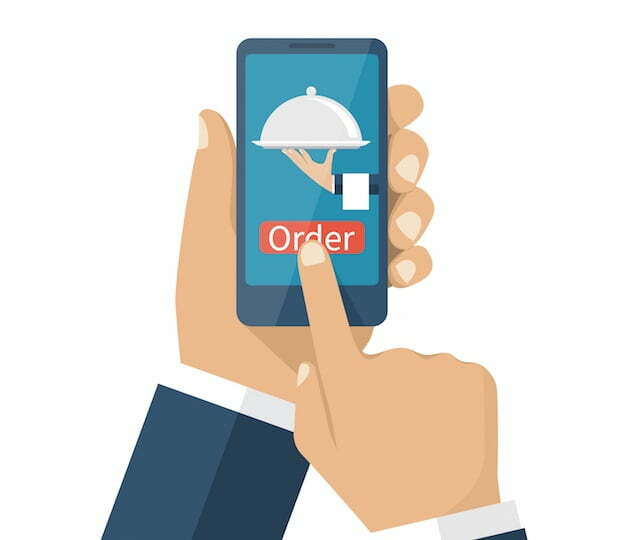 Mobile ordering apps allow you to order and pay in advance, skipping the line when you pick up the item from a retail store. I have been testing the user experience on a couple of mobile ordering apps. I picked apps from Starbucks, Chick-fil-A and Dunkin’ Donuts since they are smack dab in the middle of the hungry mile in my hometown. But first, why are mobile ordering apps gaining in popularity? Blame the millenials. Chick-fil-A says that 82% of millennial parents would do ANYTHING to avoid waiting in line, and that 48% would rather not eat than stand in line. Faster Throughput. Chipotle says it can handle 6 more orders per hour via app (since apps don’t tie up the line with indecision and small talk). Higher Spend Per Order. Taco Bell has reported 30% higher sales per order via app vs. walk in. 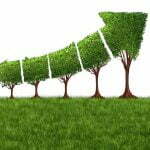 Incremental sales. When I’m running late, I can still squeeze in a run by Starbucks if I order ahead with the app. Without the app, I would have to skip my fix. There are 5 main factors digital marketers and small businesses should consider with mobile ordering app design. Product Mix. Do you include your entire product line in the app? Or just the most popular items? A popular UX design adage says keep it simple. Feature rich=user poor. I think that Starbucks has nailed this by including most of its menu. On the other hand, Dunkin’ Donuts is overly restrictive, only allowing 7 types of donuts to be ordered via the app. Another interesting menu design aspect is to allow a filter on menu items. Chick-fil-A allows the user to select a filter that screens out specific allergens like wheat or soy. Wendy’s lets you screen by calorie count level. And then there is the issue of extras and special orders. Do you slow down the customer experience by asking users to specify onions, pickles, mustard lettuce? If you must include extras, how do you keep them out of the ordering path for people who are in a hurry but not picky? Location. Most apps ask you to share your GPS location. This will automatically send the order to the nearest location, which may delight or exacerbate the user. It threw me for a loop once when Starbucks sent my coffee order to a new site I didn’t know existed! They’ve since developed the ability to stipulate multiple favorite sites and then more clearly override if you’re in a remote location. Loyalty. Almost all mobile ordering apps are intertwined with loyalty programs, which provide rewards and freebies after certain order thresholds are met. Should you allow someone to use the app without joining the loyalty program? And do you require the user to stipulate when to use reward points? That emphasizes the value but slows down the ordering process. Dunkin Donuts uses a “hope and pray” approach that automatically adds in the earned reward. Although that sounds quicker and more convenient, app store reviews have complaints because people don’t trust that they got the discount. Payment. Do you design the app to use Wallet or Apple Pay in addition to credit cards? Or does offering all the payment options confuse people? Do you require customers to pre-load a value in their loyalty account, which saves the business transaction costs? A drawback with the Chick-Fil-A app is that although you can pay via credit card instead of the loyalty account, you won’t get any loyalty points. Passwords/Upgrades. This is perhaps the bane of customer experience. When a customer downloads a new version of the software, do you require that they re-input their username and password? Many simply won’t remember. Since some retail establishments have been hacked, its understandable that they require reauthorization. But what a hit to user experience! The Best Mobile Ordering App? So where does all this lead, and how do I end this blog? We have two questions left to answer: which app did I like best, and do you need a mobile ordering app for your business? Without a doubt, Starbucks is best that I tested. With an app store rating of 4 stars, I love the way I can go to the special order ahead area, grab the coffee and go. I also like the way they effectively use the app to communicate reward points, new specials and even charitable causes. Chick-fil-A is just OK. It’s well worth downloading because it will save you time in line. One drawback is that pushing submit on the app doesn’t initiate the order. They wait until you arrive and select “check in.” So the app just puts you at the front of the line, it doesn’t prepare food in advance. I’m sure that keeps the food fresher but makes the wait longer. Dunkin’ Donuts is of no use to me since it doesn’t include what I want to order. With a rating of 1.5 stars, apparently others agree. How do you decide if you need a mobile ordering app for your business? You’ll notice some common aspects to brands mentioned. Do you have a retail business with multiple locations, frequent repeat purchases, a loyalty program and customers who are in a hurry? Then it’s time to push the button on mobile ordering app development. Are you actively using mobile ordering apps? Which are your favorite and why? 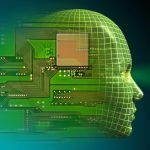 « Artificial Intelligence: Did a Blog Bot Write This Post?